Earn up to 38,008 reward points. Distinctive designs offer players beautiful tonal colors. 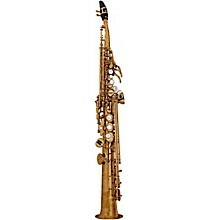 he Custom Z soprano models are reminiscent of vintage Yamaha soprano saxophone designs. 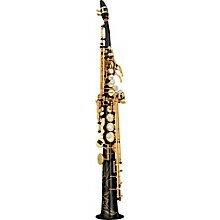 Based on the scale and design of the classic '62' models, Custom Z saxes have bodies that are made of a special brass alloy for lighter weight, a great playing 'feel', and the kind of tonal flexibility you've always dreamed of. The Z plays evenly in all ranges, and gives the player a huge dynamic range for as much - or as little - sound as you want. Available in four finishes: gold baked epoxy lacquer (YSS-82ZR); silver-plated (YSS-82ZRS); black lacquer (YSS-82ZRB); un-lacquered (YDD-82ZRU). Each finish offers players a unique tonal color. Note: On un-lacquered models, the finish will be polished upon arrival and gradually morph over time to resemble the picture shown here. Rate of change and eventual finish will vary based on the player, amount of use, and environment the horn is stored in. 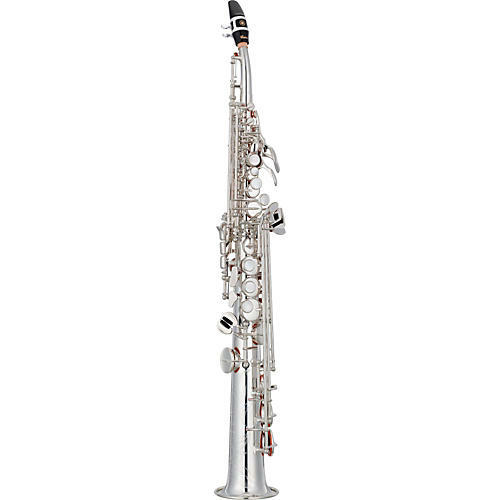 The Custom Z saxes have unparalleled tonal flexibility for confident performance in all styles of music, and there's no need to sacrifice comfort for sound. Order a horn with unparalleled tonal flexibility!